On one of our first dates, two years before we married, Betty and I talked about the places we’d been. It was clear that neither of us had really been anywhere outside of New York state. Pitifully clear. Having read On the Road and The Sun Also Rises and a few Henry Miller books (like an English major is supposed to), I was ashamed. Kerouac had Mexico, Hemingway Spain, Miller Paris, and we had…Ohio. Betty and I continued to date. Eventually we decided that it was necessary that the two of us embark on some form of journey, and one that didn’t involve flying because we were broke. We would have to settle on a youthful exploration of our great big country. We wanted someplace that would really symbolize America. But not the faces-in-a-mountain, cracked bell, remember-the-Alamo America. That was an America found in textbooks. We didn’t want to go anywhere colonial, or, God forbid, anyplace with the world “fort” in its name. No, we wanted an America found in novels, the Big America, with burgers and fries and people who sing on street corners. An America alive, ready to be consumed, one full of pop culture and irony, almost a mockery of itself. Betty and I were living in an age of sarcasm, after all. We wanted to see an America we could be proud of and, simultaneously, laugh at. So we chose to go to Graceland. It seemed like a good decision. 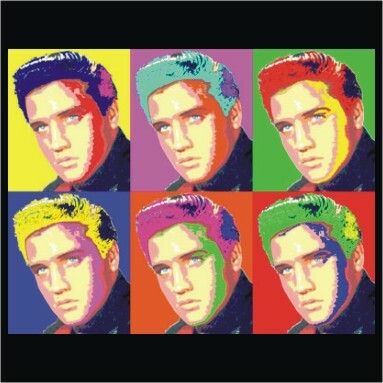 Elvis had to be the perfect representation of America’s split personality. He was larger than life, a superstar of stamps, collecting cars and planes and filling out every inch of his stars-and-stripes jumpsuit. And at the same time, there was Elvis the country gent, with old-fashioned values, cherishing mom, loving his wife, singing songs to his daughter in their dream home. As quickly as an inkjet cartridge can spit out a set of MapQuest directions, we were in my car and on the road. We would go on to spend exactly one week in Memphis. This was our grand voyage. It turned out to be a pretty run down place, full of beat-up old cars and panhandlers. We kept ourselves busy. I remember looking out on the balcony where Martin Luther King was shot, eating at B.B. King’s restaurant, and seeing all things Elvis – the King of Rock and Roll. There are Kings everywhere you look in Memphis. The place is full of ’em. Then we went to Sun Studio. In the basement, there was a tall microphone sitting on the floor by a huge picture of Elvis, Carl Perkins, Jerry Lee Lewis, and Johnny Cash. “That microphone was used by Elvis himself,” the tour guide said. “He made some of his earliest recordings in this very room.” Betty had me go stand by it and she took a picture of me and the Elvis microphone. In it, I look nervous, clutching the mic stand with my right hand with a forced smile on my face. Betty and I held hands on our stroll through Graceland. We saw Elvis’ gold records and later his grave. She took pictures so we could remember it all. Around that time, we realized that we were only half-interested; that we didn’t really like Elvis much to begin with. We left Memphis unsure of why we’d gone there in the first place. It was good, though, because we had a week in a strange place to spend together. We had danced on Beale Street and made love in the Best Western Benchmark Hotel, right across the street from the Peabody where the ducks come out of an elevator in the morning and waddle around like ugly babies. Betty framed the picture of me holding the Elvis microphone. It was on the wall all through our marriage. Now she’s in America and I’m in South Korea, and that time in Memphis has sunk deep into the past. I can still see that one photograph, though, in my head when I think of it. I wonder if Betty kept it or threw it away. There I am, standing in the place where Elvis stood, back when I was young, waiting for my future, so very much in love. Such a melancholy piece. I like reading a different side of you though! We all have our moments. Don’t be so hard on yourself! I find you pretty interesting and you write well 😀 As for me, I’m alright I suppose.